Former shuttle commander Charles Bolden has been picked by President Barack Obama as NASA's new chief. The U.S.Senate Commerce Committee is expected to hold a confirmation hearing July 8 forretired Marine Corps Maj. Gen. Charles Bolden and Lori Garver, the WhiteHouse's nominees for NASA?s new administrator and NASA deputy administrator,respectively. Althoughthe committee had not formally scheduled thehearing at press time, multiple sources confirmed the date was beingconsidered. Bolden is aformer space shuttle commander and Garver is a former NASA associateadministrator for policy and plans. The two were nominated as a pair May 23. Last month,key members of the U.S. Senate Commerce Committee began clearing theway for Bolden?s swift confirmation. NASA has been without a chief sinceformer administrator Michael Griffin, who was appointed in during the term ofPresident George W. Bush, stepped down in January as President Barack Obama wassworn in. Since then,NASA associate administrator Chris Scolese has been serving as the space agency?sinterim chief. 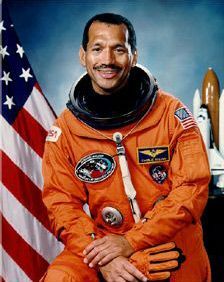 Bolden joinedNASA?s astronaut corps in 1980 and flew on four space shuttle missions between 1986and 1994, when he left the space agency to return to active duty in the MarineCorps. Garver served as a NASA associate administrator for policy and plansduring the Clinton Administration and is aWashington-based aerospace consultant.